This sheet lets you know the results required to achieve your goals within the deadline set. You can set your goals on the "Results" sheet. You can change the deadline date on the "Estimated Results" sheet. 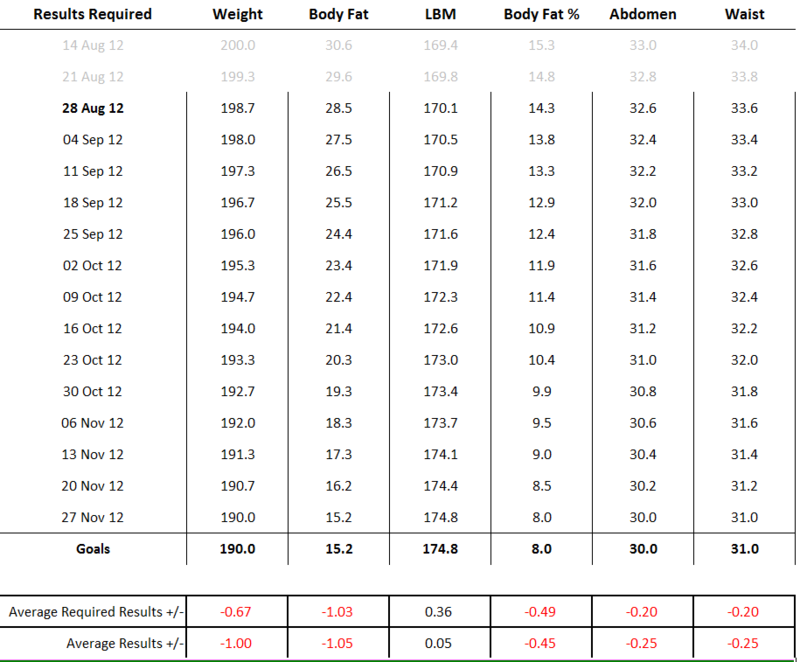 Shows you how much you need to lose / gain with each measurement to stay on track with your goals. Shows you the current average losses / gains from your measurements so far. So for example the average required results shows that you need to drop 0.67 lb each measurement to hit your weight goal. The average results shows that you're currently losing 1 lb, so that means you're exceeding your weight loss goal.